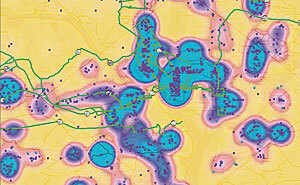 Create density surfaces using ArcGIS Spatial Analyst to better understand the distribution of telephone customers. Many enhancements are being made in ArcGIS Desktop at 9.3 to help users be more productive. We're implementing many user enhancement requests and addressing a significant number of common technical support issues. ArcGIS Desktop 9.3 will be available to users later this year. A new Convert Graphics to Features dialog box is being added to allow users to create features by drawing graphics without using the editor. For example, users will be able to draw a study area with a drawing tool and convert it into a feature class or use the Go To XY tool or Find Address dialog box to add points to the map, then immediately save these points into a shapefile. A new button on the Labeling toolbar will let users temporarily pause labeling to increase performance while assembling the other layers in the map or doing analysis. This will save users from having to turn labeling off completely. Bookmarks will be easier to access with the new Bookmarks pull-down menu. The ArcGIS Desktop 9.3 Bookmark Manager dialog box will let users reorder bookmarks any way they want and save them to a file for loading into other data frames, maps, or globes. Users will be able to update the extent of an existing bookmark without having to re-create it. They will also be able to save bookmarks into their My Places so they can use the same bookmark in any map or globe. Layer legends in the table of contents and on the map layout will automatically use lighter colors for symbols in layers that have transparency applied to them. When users join tables, all the field properties they've specified, such as field aliases, will be retained, which will make working with joins much easier. They will be able to perform joins between layers or tables with definition queries defined, and the definition queries are respected correctly. Users will be able to review the properties of joins and relates via the Layer Properties dialog box, so it will be easy to see the name, location, and type of any source tables that are joined or related to a table. In the table window, users will be able to quickly toggle between showing field name aliases and the underlying field names. Users will also be able to sort a table on multiple attributes. When users access related data in the Identify window, the dialog box will respect all the field properties, such as primary display field, field aliases, and field visibility, of any layer or table in the map that represents that related data in the map. Also, when users identify a feature, they will be able to immediately launch the Properties dialog box and attribute table of the layer that the feature belongs to directly from the Identify window. This will save users from having to look for a specific layer in the table of contents and is particularly useful when the map contains a large number of layers. A new reverse geocoding tool called Address Inspector will let users click on a map to get the nearest address to any location, and they will be able to add that address to the map as a label. The ArcGIS Desktop viewer can now be used to display the contents of different data frames side by side to facilitate comparative analysis and data review. It will be easier to export raster data. A new option within the Export Raster Data dialog box in ArcMap will let users clip the output raster to the extent of the selected graphics on the map. Users will have the option to display map scales throughout the ArcMap user interface in relative format, such as 1 in. = 5 mi., in the units of their choice, making scales easier to understand. Layer files will be registered with the ArcGIS Desktop applications. For example, users will be able to double-click LYR files in Windows Explorer, Outlook, Windows Desktop, etc., to add them into their current map or start ArcMap if it is not already running. Users will also be able to click LYR files presented on Web pages to add them into their maps, which gives Internet data publishers a simple way to provide ArcGIS Desktop users with access to their map services. New productivity enhancementsbased on common workflowswill be made at ArcGIS Desktop 9.3. WYSIWYG (what you see is what you get) editing of cartographic representations will be added. When moving representations on a map, users will be able to view the symbology instead of the wireframe outline so that they can better see how the edit will impact their map. New geoprocessing tools will be added to help with cartographic production. Disperse Markers will allow users to spread apart representation markers that are coincident or nearly coincident. With the new Set Representation Control Points At Intersect tool, users will be able to add a control point where coincident features share vertices. New geometric effects will be added at ArcGIS Desktop 9.3, including Move, Rotate, Scale, Wave, Tapered Polygon, and Regular Polygon. When you export geodatabase data to XML format with ArcGIS 9.3, the definition of each representation rule is now included, which makes it easier to exchange and transfer data containing cartographic representations. The geoprocessing tool framework, including ModelBuilder and scripting and Python support, will be improved at ArcGIS Desktop 9.3. Within ModelBuilder, variable use will be more flexible in models and the Feature Record Set and Record Set controls will be improved. Users will have more control over their geoprocessing model's parameters, such as whether a parameter is optional or required and what variable values are acceptable as inputs. Script tools will have multivalue outputs. The Results Window will show environment settings. The Python scripting experience is also being improved. Python will run within an ArcGIS process. Error messaging will be revamped to make errors more descriptive and better linked to the help system. Messages will be standardized across all products, including ArcGIS Desktop extensions. These new, more informative messages will make it easier to build scripts and models. Tool progress messaging will also be improved and will more accurately display actual progress. Not only will users be able to see how long an operation will take, but they will also know if the operation is proceeding as planned and is not in some unknown state. The Near tool will be made more flexible and will work with more than points and lines: it will perform calculations to all features within a given search radius. The ability to join to the closest feature will be added to the Spatial Join tool, making it easier to merge attributes. A new Generate Spatial Weights tool in ArcGIS Desktop 9.3 will give users a new way to model spatial relationships. Its use will result in a spatial weights file that is reusable, editable, and shareable. A new Ordinary Least Squares (OLS) Regression tool will help users decide if their data is suitable for analysis using a global model that is the most commonly used regression statistic. The new Geographically Weighted Regression (GWR) tool will use a local model for regional variations and will help users understand how processes vary with regard to space. 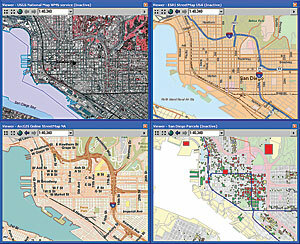 ArcGIS 9.3 is expected to be available in the third quarter of 2008. For more information about ArcGIS, visit www.esri.com/whatscoming. 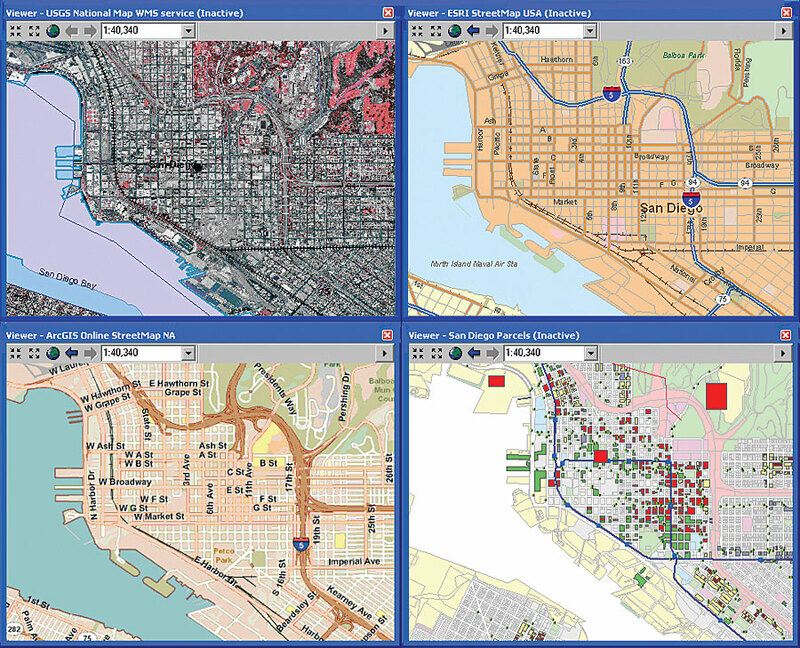 Also read "ArcGIS 9.3 Expands the Power of GIS Throughout the Enterprise."